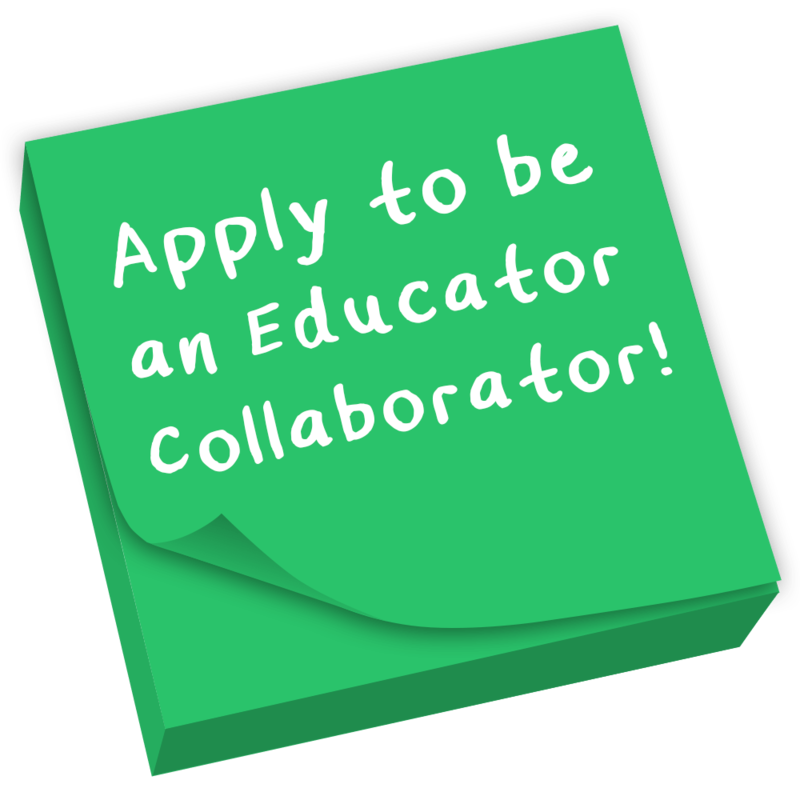 We are proud to announce the launch of Science Friday’s newest education initiative, the Educator Collaborative. Of the many incredibly qualified and innovative science teachers in this country, our Educator Collaborative includes some of the very best. Science Friday started the Educator Collaborative as a way to share novel approaches to STEM (science, technology, engineering, and math) education with a broad educator audience. 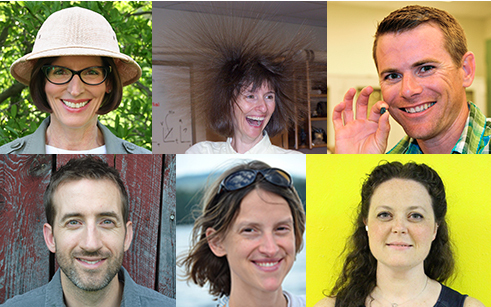 In this inaugural season, we selected six experienced educators based on their exceptional approaches to STEM teaching and enthusiasm for incorporating current scientific research into their curricula. Starting in the Spring of 2016, educators in the collaborative worked with one another and with Science Friday’s staff to create ready-to-use educational resources, all of which were inspired by the work of scientists and engineers featured in Science Friday media. The result is a collection of challenging and fun STEM resources for a variety of educational settings. And like all of the resources we share at Science Friday, they’re totally free and don’t require expensive materials to implement, so use as many as you’d like, and share them with your colleagues and friends. Backpacking into the Columns of the Giants to create an immersive virtual field trip. Drenching Colocasia plants to demonstrate hydrophobicity in nature. Painting watercolors to bring climate change data to life. Planting thermometers in a school parking lot to gather data on the urban heat island effect. Building kites to visualize and demonstrate Newton’s Second Law. Creating scale models of mud cores to simulate a timeline of tropical cyclones and hurricanes. As you will see, each activity is unique. But they’re all designed to develop students’ critical thinking skills and encourage scientific exploration. She taught middle school science for 12 years, earning a Gifted Education Certificate from Rutgers along the way. 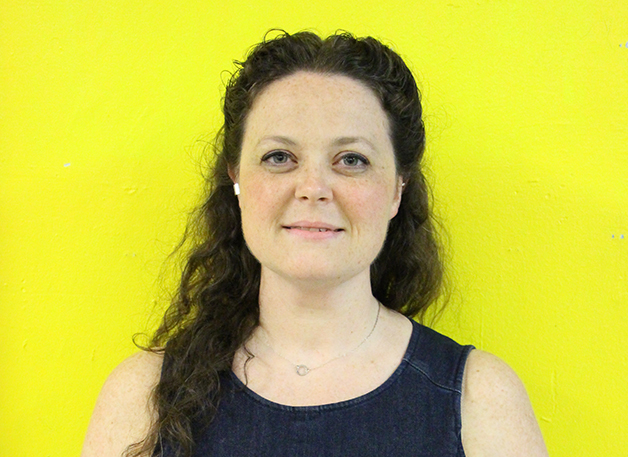 On her mission to “be the change,” she moved to Millstone’s elementary school to help teachers transition to the Next Generation Science Standards. Memorable classroom activities include training Madagascar hissing cockroaches to prefer peppermint over vanilla (the students proudly shared their results with an expert in Japan), and an investigation exploring the design possibilities of the invasive Phragmites plant. Check out Beth’s resource on hydrophobicity. As a high school earth science teacher at Innovation Academy Charter School in Massachusetts, Katharine Hinkle’s unflagging goal is to get her students excited about venturing outside and observing their environment. She wants her classes to understand how familiar landscapes form and how scientific issues play out in their local communities. 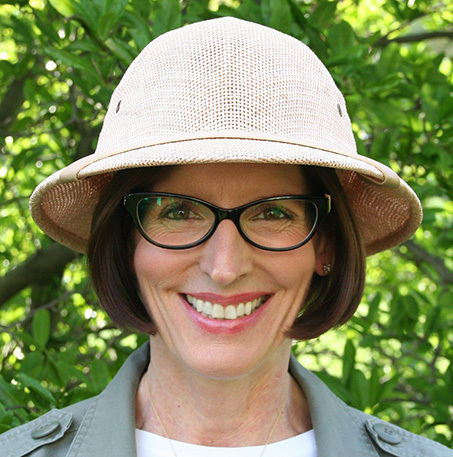 Around her school’s campus, you can find Katharine leading nature walks, digging up granite chunks and soil samples for a lab, or uncovering colonial artifacts with her students. 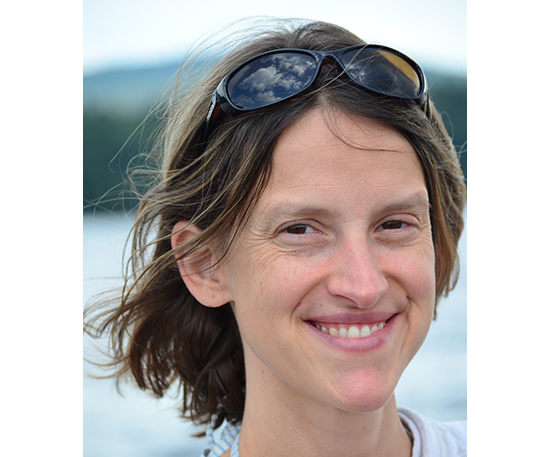 In addition to teaching courses in earth and space sciences, Katharine also enjoys developing new curriculum on local history, environmental change, and environmental studies. Check out Katharine’s resource on urban heat islands. 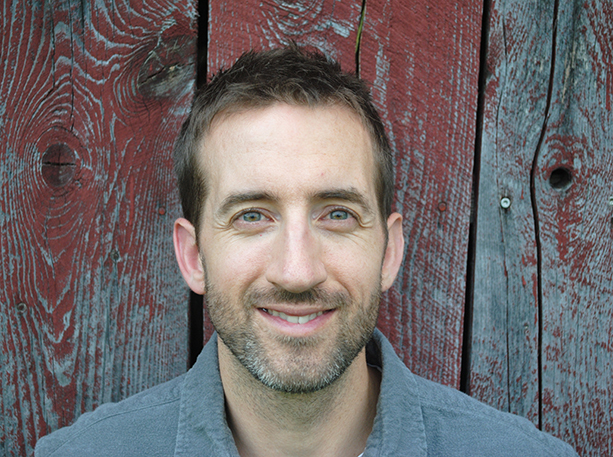 Ryan Becker teaches physical science at Woodstock Union Middle School in Woodstock, Vermont. A passionate middle-level educator for the last 12 years, Ryan constantly looks for ways to nurture curiosity, creativity, and problem-solving in his classroom. It’s not unusual to find his students engineering solar collectors, filming science infomercials, writing chemistry haikus, or tweeting questions to scientists across the globe. His interest in teacher leadership and action research—which entails testing and documenting a teaching practice in the classroom—prompted Ryan to pursue a doctorate at UVM. After realizing the power of social media for professional development and as a pedagogical tool in his own classroom, Ryan focused his dissertation research on the use of Twitter for learning and communicating science. He hopes his own insatiable desire to follow real science around the world inspires his students. Check out Ryan’s resource on communicating climate change data through an illustrated graph. Samantha Adams is the twelfth-grade geoscience teacher at Pan American International High School at Monroe in the Bronx, New York. This is a specialized high school for Spanish-speaking immigrants who have recently moved to the United States. When Samantha isn’t leading her students outside to measure atmospheric aerosols or helping them practice orienteering out of a zombie apocalypse, she’s teaching them the best way to construct a building that won’t collapse in an earthquake, or how to use ground-based telescopes to search for exoplanets. During the school year, she bats ideas back and forth with her fellow Math for America Master Teachers. Check out Samantha’s educational resource on the mud cores of Belize’s Blue Hole. Ryan has a master’s in geoscience from Mississippi State. 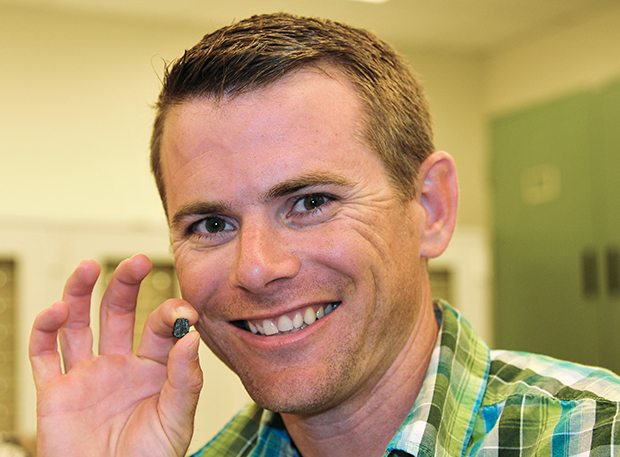 In 2015, he received the Far West Region’s Outstanding Earth Science Teacher award from the National Association of Geoscience Teachers in recognition of his dedication and contribution as a teacher. Check out Ryan’s resource, a virtual expedition to the Columns of the Giants in Stanislaus National Forest. Susan Romano is a 20-year veteran high school teacher who never gets tired teaching physics to her students at Keene High School in New Hampshire. She’s also a physics adjunct instructor at Keene State College, where she teaches an activity-based physics class using a guidebook she authored. 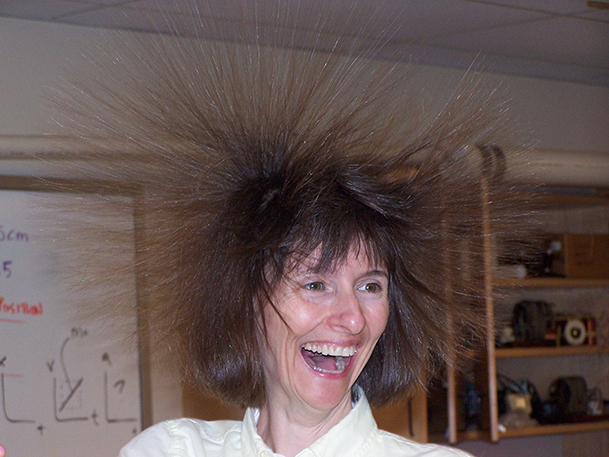 An accomplished pianist, Susan enjoys creating physics demos set to great pieces of music. For instance, her favorite inertia demo involves eggs, water, tubes, a pizza pan, a hat with orange horns, a broom, and Wagner’s Ride of the Valkyries (you’ve got to see it to believe it). Her students love building rockets and are regularly found out of their seats, doing science. Check out Susan’s educational resource on kite engineering and the physics of flight. We know there are more of you out there! Learn more about the Science Friday Educator Collaborative and how you can share your creative approach to STEM here.